Can My Cat Get Sick From Air Conditioning? As summer comes, and the temperature begins to rise, pet owners are constantly wrestling with the question of whether or not to leave the AC unit in their home turned on while they’re not there to keep their cats, dogs, and other pets cool. Some people say that turning the AC unit off is the best choice, while others say that it should always be working. In a way, they’re both right and wrong at the same time. Cats evolved beside humans for over 9000 years, and naturally, they’re able to survive both high and low temperatures. However, we’re not here to talk about the survival of the fittest; we’re here to talk about your furry friend’s health and the risks of air conditioning. Does My Cat Require Cooling? It’s not possible to answer this question simply. Cats don’t create much heat because of their low muscle activity, but dogs do. If you have a dog and a cat then you might consider turning the AC on even when you’re not at home. If you only own a cat, then turning the AC unit on might not be necessary, because there are other ways to cool a cat in hot weather. Heat is not the only problem when it comes to cats. It’s the heat mixed with humidity. When both heat and humidity are combined, they can affect panting, and panting is the natural cooling system for almost every pet out there. If panting is affected, then your cat might become stressed and exhausted. Can My Cat Catch a Cold? Yes, that’s entirely possible! 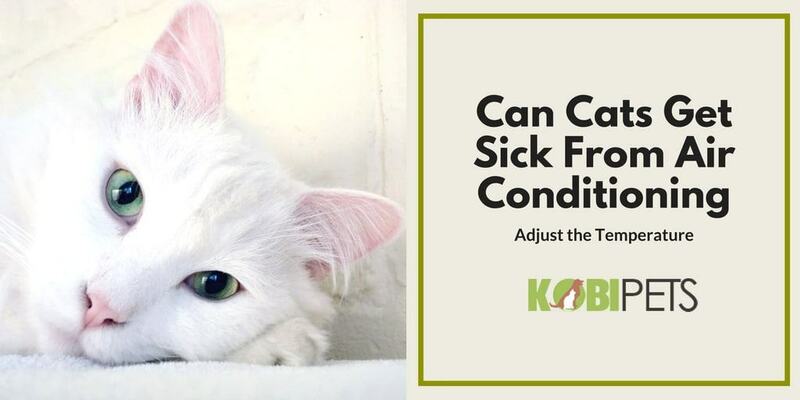 If you notice sneezing, coughing, nasal discharge, and fever, that might mean that your cat has a cold, and you might consider turning the AC device off or adjusting the temperature. 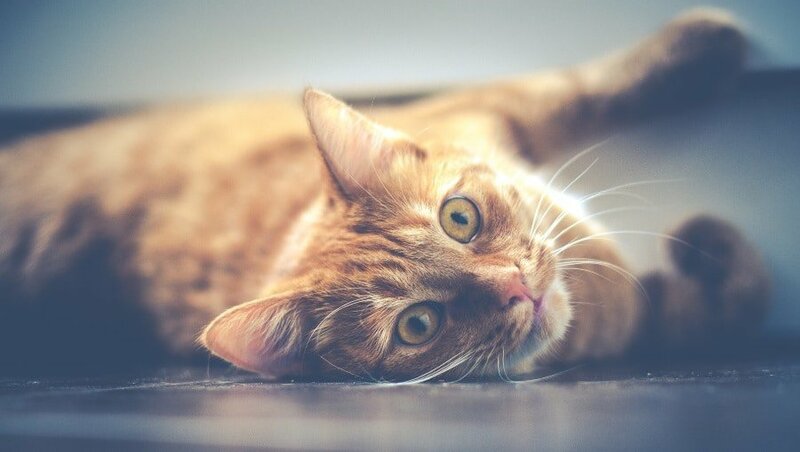 Dehydration is also a sign that your cat has a cold, but it can also be a symptom of a much more severe illness, so inform yourself about that before doing anything. Your cat’s cold will pass after 10 days or so, but the virus will never leave your cat’s system, so keep in mind that the sickness might recur. Do not give your cat any medication and supplements before talking to the vet. A cat’s natural body temperature ranges from 37° Celsius to 39° Celsius (100°-102° Fahrenheit), and the general rule is this – If you’re comfortable at some temperature, there’s a big chance that your cat is too. If you notice that your cat is curled up in a ball when the AC is on, consider knocking the temperature up a few notches. Of course, your cat might just like be curled up, but the only person who can tell whether your cat is curled up because of the temperature or because of some other reasons is you! Size – Small and skinny cats can’t retain the heat quite well, and they love higher temperatures. Overweight cats are able to handle lower temperatures much better. Health – Sick cats need a warmer environment than usual. In short, your cat(s) can get sick from air conditioning if you don’t adjust the temperature according to their needs. There’s not really a magic number because it all depends on your cat’s adaptability. My wife has the a.c on about 73 is that too cold for my cat ? That temperature should be fine. Just make sure that your cat isn’t sitting directly under the AC. We personally prefer to keep the temperature around 75 degrees.